The U.S. House and Senate are on track to secure $90 billion in disaster aid for storm-ravaged states like Texas — and to fund the government for two years. The wait appears to have been worth it for Texans worried about whether the federal government would come through on a major spending effort for Hurricane Harvey. U.S. Senate leaders have announced a deal to fund the government for the next two years that would include nearly $90 billion in disaster aid for states hit hard by hurricanes and wildfires over the last year. Disaster funding has languished for months. The House passed an $81 billion recovery bill that stalled in the Senate in December. Anxiety increased among House lawmakers from Texas and Florida as they watched the issue appear to fade in relevance in the Senate — and in the national discourse. But that new sum — $90 billion — is an increase from the deal the U.S. House originally struck. The two chambers are expected to vote on the spending bill tomorrow, and Capitol Hill sources are optimistic it will easily pass. It is not immediately clear how much of that money will go to Texas. 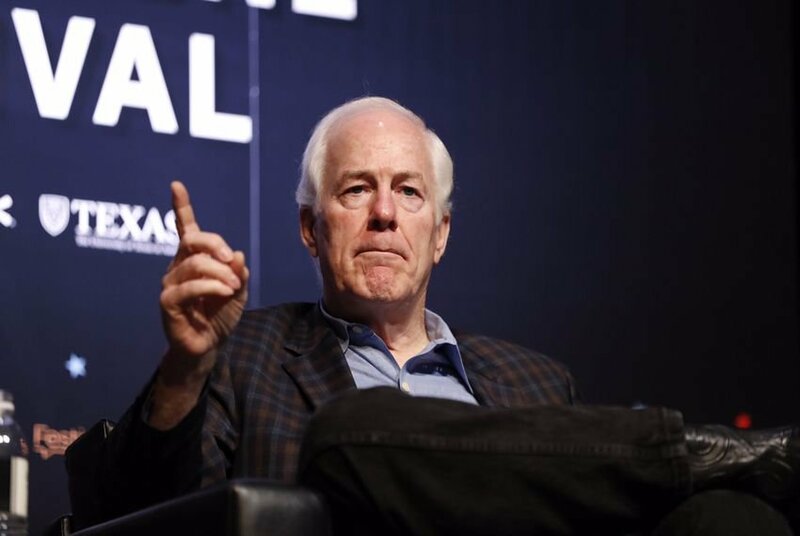 “It's simply been unacceptable to see the delay in getting the relief that Harvey victims need to them," said Republican U.S. Sen. John Cornyn of Texas, the Senate majority whip. U.S. Sen. Ted Cruz, R-Texas, described the bill as "the next step in our state’s road to recovery." He added that he was especially pleased that the package includes "more funding to advance critical Army Corps flood management projects that will help the state mitigate against future flooding events, such as potentially completing a third reservoir in the Houston area." Even with a deal, it was not a day that lacked drama. U.S. House Minority Leader Nancy Pelosi opposed the plan because it did not offer protections for illegal immigrants who came to the United States as children. In protest, she launched an hours-long speech on the U.S. House floor and subsequently set the record for longest speech ever delivered in the chamber. Beyond disaster recovery, the bill will eliminate the chaotic threats of government shutdowns, increase overall government spending and raise the debt limit.